than nature itself. And it is us. “I’ll have one of the stewards assist you as soon as possible, Madame,” Smith said, but he never moved to summon a steward. Instead, he turned back toward the port window, staring out as if mesmerized. And the woman, strangely satisfied with his reply, took a seat at one of the first-class dining room tables where she chatted gaily with her well-dressed companions. No one in the elegant dining room answered, but everyone turned to gap at the man who stood at the head of the Captain’s table. Andrews, an engineer from Harland and Wolff, an Irish shipping company who’d devised and built the great ship, was a wise and respected man. Everyone liked him—perhaps because he was always willing to lend an ear and offer a bit of honest advice. And then, he certainly possessed a fair amount of charisma and charm. Though he often had his nose in his papers, which he carried with him, people were invariably drawn to him. 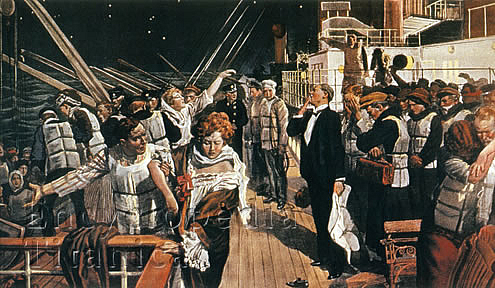 Often the passengers and crew alike had sought him in times of trouble, during the ship’s maiden voyage to New York. When he spoke, everyone listened and generally accepted his advice without question. Yet now, they were looking at him as if he’d gone mad. Astor stared at him for a moment, then let out a long roll of laughter. 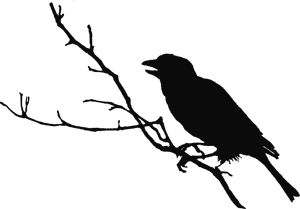 Soon, the others joined in. “Listen to him, everyone. Just listen to him,” came an authoritative voice. Andrews turned to see Benjamin Guggenheim enter the lavish chamber. Andrews had always respected the man. The fine cut of his clothes and the sure way he comported himself testified that he was in Astor’s monetary league, yet he seemed to possess an inner warmth and sincerity that Astor lacked. “Don’t any of you have the odd sense that you’ve been here before?” Guggenheim said. All eyes primed on the Captain who continued to stare blankly into nowhere as if his thoughts were miles away. With that, Andrews retrieved the case and withdrew several leather journals, which he slammed on the table before Astor, many feasting eyes watching on. Astor straightened his shoulders, sighed, his expression conveying skepticism, nevertheless, Andrews opened the first journal to reveal several papers with neat, tiny writing and placed them before the man. “What is this?” said Astor. Laughter spewed from the crowd again, more intense this time. When it died down, Mrs. Isidor Straus, an elegant, older lady, who sat beside her husband at the rear of the chamber, spoke up. “Obviously somewhere else on the ship,” Mrs. Straus said, hands on her hips. “There must be some other explanation, Mr. Andrews,” said Astor. “No, Dear. Let me go.” Isidor clutched her arm as she arose. “You heard Mr. Andrews. It’s 1999. We’re approaching a new millennium, and I’d suspect that woman are given more freedom these days. I’ll go alone…and with no chaperone.” Ida winked, and everyone chuckled, amused—everyone except the small man seated beside her who continued to grip her arm tightly. Taking a deep breath, Straus nodded and reluctantly released Ida’s arm. Everyone watched quietly as she headed to the deck. Andrews collected his journals and placed them back in his attache case, and then he began pacing nervously while the others watched on and whispered among themselves. The band, who’d continued playing, despite Andrew’s protest, began “Barcarolle.” But the music failed to overshadow the sound of the dining room clock…ticking, ticking, steadily ticking–yet seemingly going nowhere. When Mrs. Straus returned, the room grew quiet. Even the band quit playing. Her face was as white as rice powder, and at first, she appeared so weak that she had to grasp the table in order to stand. Isador arose to help her back into her chair, but she waved him away. “You’ve seen more. Haven’t you?” Andrews dashed toward her. “What plague?” Ida said, eyes huge. “I already told you. I don’t know what you’re talking about Mr. Andrews,” Mrs. Straus said. Andrews shook, gritting his teeth as Astor spoke. “Why? Oh, why won’t any of you listen, and accept the truth?” Andrews asked no one in particular. “I…I’m so cold,” a little girl who sat on a piano stool next to her mother cried. Everyone appeared surprised that Smith, always so stoic, always so strong, lowered his head and seemed to be on the verge of tears. A man like Smith would obviously consider emotion a weakness, a fault of character, and would be loath to show an ounce of it, but, finally, the man beneath the obdurate mask caved in beneath the weight of the heavy burden he carried. “That’s a certainty, sir,” said Andrews. “Silence, both of you. Let the Captain speak!” Guggenheim said. The room filled with gasps, silence, and sobs. “Predestined? What do you mean?” asked Guggenheim. A horrendous gasp filled the chamber as the undesirable truth dawned on the crowd. Everyone looked at the man in white and at Andrews. The thought of death was perhaps the one they’d dreaded the most—the one that they’d all buried deep within and couldn’t accept. All of them except Andrews. “I don’t want to see it. I can’t bear to see her that way,” said the Captain, removing his cap and urgently running his hand over his balding head. The tension picked up in the room as everyone pondered the girl’s simple question. “He’s an angel,” said the girl. The man in white smiled and patted her head, then he turned back to the eager audience. “Then it was a boy!” Astor said cheerfully. “It was,” said the man in white. “You will, sir,” said the man in white. Andrews patted Astor on the shoulder warmly, all traces of their earlier animosity gone. He knew exactly how Astor felt, he too had left behind a pregnant wife. And how difficult it had been to pass the years aboard the ill-fated ship, knowing that, somewhere out there, was a child he’d never see or hold. Gazing at the others in the chamber, it seemed to Andrews that everyone had given up something dear, had made the ultimate sacrifice, leaving behind some major chapter in their lives that had never been completed. Like him, the others appeared to be deep in thought, a moment of intense introspection. But no more questions were expressed and, for now, the man in white offered no more answers. Each man, woman, and child was satisfied with this turn of events and hopeful for the first time in ages. And each, eagerly awaited this long anticipated reunion with their friends and family, wanting so desperately to put April, 1912 out of their minds forever. Slowly, they each arose and made their way to the upper deck. There they moved toward the starboard bow where a great wall of splendid light suddenly appeared. As the man in white beckoned, each person stepped within the warmth to become one with the comforting rays. Only Captain Smith and Andrews lagged behind, each turning to give the ship one last, long look before turning back to the man in white. Andrews stepped into the warm and comforting light, then Smith, fell in behind him. Once again, the ocean floor was cold and dark. 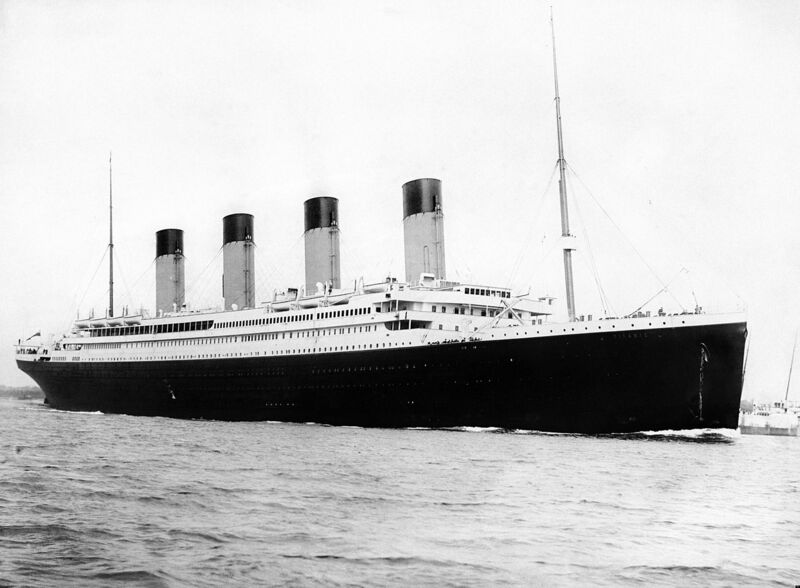 But at last, the Titanic disaster had come to a close for its last survivors.